An estate of two terraced rows of four industrial units of varying sizes, all with roller shutter doors. Some have integral office accomodation. The estate benefits from car parking faclities and good vehicular access. 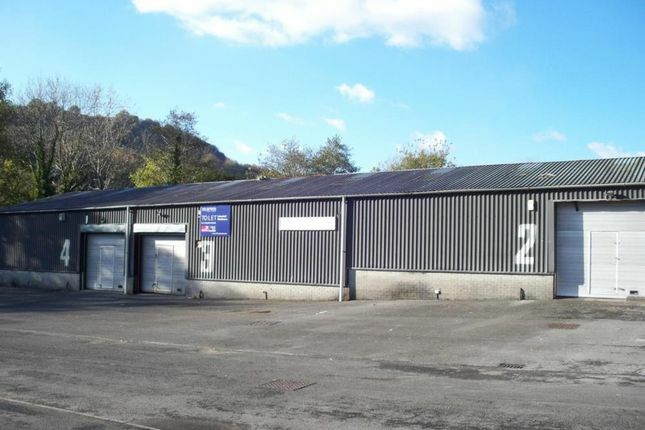 Pontcynon Industrial Estate is located close to the A470,10 miles north of J32, having good links with Cardiff to the south as well as being close to the towns of Mountain Ash and Aberdare. New lease - terms to be agreed. A fair proportion of the overall charge.